Our range of products include electromagnetic water meter, electromagnetic flow meter, kranti water meters and water meter. We have gained huge excellence in manufacturing and supplying the broad variety of Electromagnetic Water Meter. 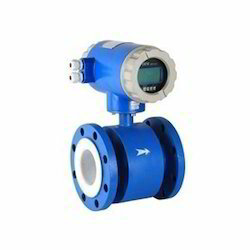 These meters utilizes an electromagnetic mechanism for measurement of water flow in various industries and water treatment plants. Our offered meters are designed and manufactured by a team of skilled professionals in various specifications. These meters being highly durable and accurate in dimensions are heavily demanded in the market. 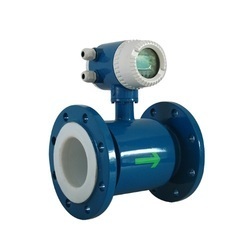 We are specialized firm engaged in manufacturing and supplying Electromagnetic Flow Meter with 4-20 Ma Output. Widely used in measuring flow rate of water, these meters are fabricated by skilled expertise using finest grade raw material and leading edge technology. We design our products in various specifications in compliance with latest industrial norms for serving diverse needs of clients. Furthermore, we supply these products to our customers in competitive market rates.